Melita is married to the centaur, Lord Thereus. Or at least she pretends to be. The ruse has been easy, until the presumed deceased Thereus returns. To save his lands, she committed treason. But that isn’t the worst of her secrets. To protect her heart from the lethally charming Thereus, she’ll have to risk claiming his. Thereus was once as wild as the stallion half of his body. And just as stubborn. He never wished for a wife, but the woman he returns to has changed. She’s become…irresistible. Despite his attraction, Thereus doesn’t intend to stay. After he collects his army, he’ll be off to war. Yet as his passion for her burns as deep as her secrets, he’ll have to fight for the one thing he faked his death to escape… and now just might not be able to live without. Melita’s shadowed past holds a secret that could shatter the centuries-old peace between centaurs and Lapiths. But trusting her heart to Thereus isn’t a risk Melita is willing to take twice, even though he swears he’s now more wicked than wild. As her enemies close in on the truth, Melita and Thereus will have to choose between protecting her race… and saving his. Melita is living a double life. While she is Melita, she is also pretending to be her sister Kalliste, whom has passed away. The only draw back is that she doesn't have the ice cold heart like her sister had. But she gets away with it due to how much the sisters looked alike. Thereus is a lord but has been away due to the fact that he was in shipwreck five years ago and was assumed dead. Now he is back and is there to stay. He is willing to do whatever he can to make Melita (Kalliste) see that is he a changed man, if only he knew! The irony of the story... Yet he only has five weeks to show her he has changed or he'll step down and let her out of their marriage! Crazy, I tell you. Earth Borne was very entertaining. I loved Thereus go from not wanting to be with his wife, to being away and coming back to do whatever he can to win her over. He is trying so hard to do the best, to be the better man and little does he knows she is not the same person. He makes many sacrifices in which would make you swoon! Melita will also sacrifice everything for the people she loves most in the world. 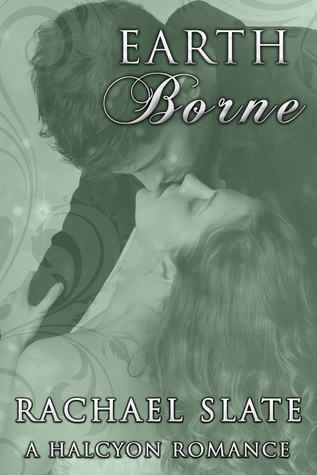 Earth Borne is a story with sad and happy moments, OMG what is she doing moments, and swoony moments. It's a story of a man who loves a woman and would do anything to make sure she stays with him no matter. Earth Borne is a also a family story with mystical creatures and not your everyday story which is always a nice change from the normal.